Quality inspection, quality control and agency services - LiS Ltd. performs inspections and control of sawn timber products in Ukraine. We are ready to offer you professional agent services including inspections and quality control of ready products. Ukraine has the richest resources of oak, beech, pine, spruce, maple, alder and birch in Europe and have lot of small private and national sawmills interested to supply timber products you need. When you are dealing with suppliers you need supplier who can give you the good and reasonable quality with the with right delivery dates on good price. It's hard to understand how good a supplier is if you wasn't dealing with supplier before. There are many limitations in the Ukrainian law and there are several peculiarities in nature of suppliers. Our services will help you to get the goods you need from right private or national suppliers within deadline. We help you to select the suppliers who can follow your terms and conditions. The price should not be the only factor when you are planning your business. We are ready to take care about your purchasing program in Ukraine controlling the timber products which you are buying in Ukraine. We are working for small commissions, but we take responsibility of negotiations, inspections during and after the production, delivery process and so on. Please just contact us and give us the details and requirements of the products you need, and we will give you the best quotation and will inform you of all market changes and important information without any obligation from your side. Need fast start of purchasing program? Having the big database of suppliers in Ukraine we will give you the right ones in short time period. Have difficulties in understanding quality requirements with supplier and have no time to agree quality on samples? Having good experience in the market we will check goods on production and agree right quality specifications with supplier. You need goods, but contract payment terms are not good because you are afraid to make payment before delivery? We will help you checking goods during production and just before loading to transport facility. Unable to come Ukraine for inspection? Need to check goods before loading? We can do this job for you. 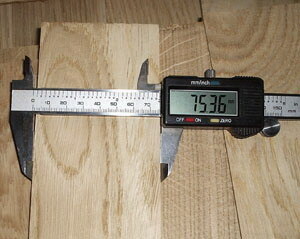 We will check your timber products and give you detailed report. Need to find transport for delivery? We will order transport facility to deliver your cargo on the best existing rates. Please contact us to proceed with your inquiry.